The ODA is a voluntary, not-for-profit association committed to supporting its member dentists and the promotion of optimal oral health for the people of Ontario. Truth be told, I have a great friend who works at their office. He wanted to bring me in to enhance the look and feel of the association’s Journal. 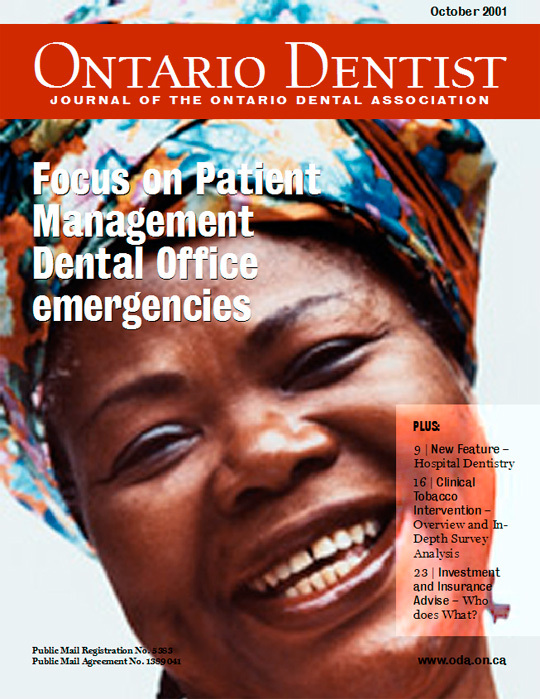 To redesign Ontario Dentist Magazine so that it better represents the sophistication of its audience and increases the advertising value of space within its pages. Unfortunately this project was never realized and so today remains only a concept. The image below represents one of the the initial concepts for their magazine cover and the redesign of their logo. This entry was posted on 2009.01.01 at 3.59 pm and is filed under Service. You can follow any responses to this entry through the RSS 2.0 feed. You can leave a response, or trackback from your own site.